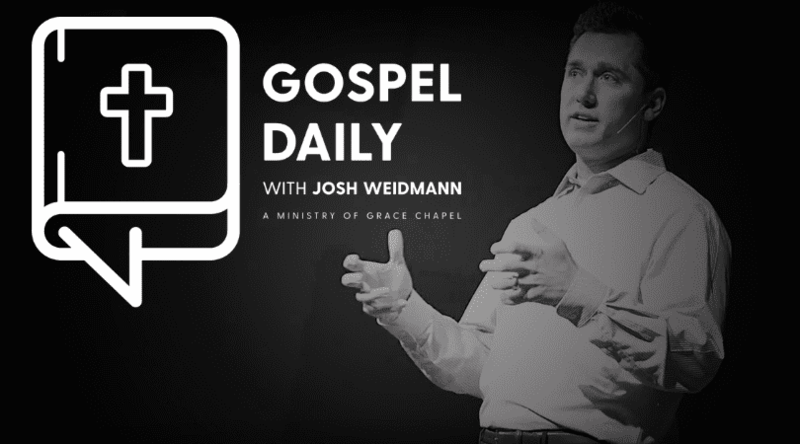 Join Pastor Josh Weidmann, Senior Pastor of Grace Chapel in Englewood, CO as he invites you to be inspired by scripture to live your life to have a great impact in the world where God has placed you. Together we’ll take the truth of God’s Word and seek to live out the Gospel, daily. You can listen on air M-F in Denver, CO at 7:30am on KRKS, 990 AM The Word; and at 9pm on 94.7 FM The Word. Check out this week’s broadcast schedule here. Missed the radio broadcast? Listen online below. You are invited to join Josh in person at Grace Chapel in Englewood, CO, Sunday mornings at 9am & 10:45am. Click here for more details!